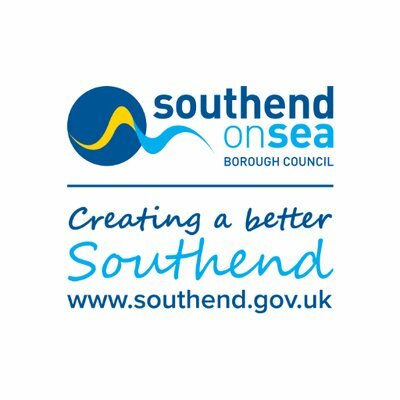 Nominations closed at 1600 today and to their credit the Southend Council had posted a full list of all the candidates for all the wards on their website by 1700, when I downloaded the information. Pertinently, two days ago I wrote on my Facebook page: “still perturbed that action around the local elections in 30 days time has been surprisingly low key. I have still to meet any of the candidates standing in my (St. Lukes) ward and given I don’t usually vote on party lines I am in a quandary who to vote for”. A number concurred that election campaigning up to now has been decidedly lack luster and when I made mention of two years ago when I organized a Ward hustings among potential candidates (see photo above, and check here for my views on the candidates in 2016), while it was a worthwhile undertaking, the turnout was disappointing. There was sympathy when I expressed my disquiet regarding voter indifference and my disinclination to expend effort in repeating the exercise with this new crop of candidates, when so much apathy. One (and only one) of the 2016 candidates, Jason Pilley, is standing again and unlike last time when it was for the Greens, this time he is standing for the Psychedelic Future Party. Only Jason (who I happened to vote for last time to help boost his poll above 100 and encourage the lad, who showed promise despite there being three more likely and just as worthy candidates who I would not have been disappointed if any of them had won) I have met. As for the rest I have very little to go on. I suppose, like last time there are three front runners: Independent (of the Alliance flavor), Labour and Conservative and one wonders if the Independent bubble (as far as St. Lukes is concerned) is about to burst – I fear not because neither of the main parties strike me as having got their acts together. I know little of the Independent guy, who because he is part on an alliance isn’t as Independent as his sponsors claim, but has done some good things e.g. on health. I like the two sitting Independent guys (Paul and Brian) and am disappointed with Caroline whose inactivity since getting elected ahead of two far better candidates (Sally and Gray) is all too glaring. To give the Labour guy his due, he has struck me as being the hardest working of the candidates thus far but I am undecided what he can bring to the party and his being Momentum leaning is a minus as far as I am concerned. St. Lukes once was a staunch Labour Ward until the Conservatives gate crashed in, only to be later replaced by the Independents. This brings me to the Conservative guy who strikes me as young, wet behind the ears and keen, who entering the political fray at such a young age is commendable, but again I know all too little about him, and I get the impression that he is not “in it to win it”. It might be again the “devil I know”, the psychedelic Jason, who gets the nod when I come to vote! I entered the blogosphere nearly four years ago and one of my first posts was titled: “True, necessary and kind” and in it I referred to the dilemma I faced then about who to vote for. In the end I decided to read all the election leaflets and come to a view based on what I could discern, who might help create a better Southend and who best adopted the TNK principle in their campaign (including leaflets), as to who to vote for. I hope to meet the candidates still and come to an informed view before casting my vote May 3rd, and in the meantime, I commend all the candidates for standing and placing their heads over the proverbial parapets, and I wish them well. While the tone of what I have written is slightly light hearted, who runs the town and who represents us, is a deadly serious business and I hope folk reading this will agree and respond accordingly. The remaining two candidates have politely declined. It will follow along similar lines to previous hustings with each candidate making opening and closing presentations concerning their candidature and answering a range of questions. It seems to me this is the right thing to do for how else can one decide who will be the best candidate. I sincerely hope that the state of our roads and pavements will take a priority in cleaning up the st. Lukes ward at least. The walk to the health centre this morning along norwich avenue was a health hazard itself. Its a disgrace. And the householder rubbish piling up is an eye sore. We were promised a super new health centre when virgin took over but the first thing they did was do away with the walk in service. Can you explain that backward step.? We thought we were moving to a good place but apart from our neighbours i can see nothing good about it. Even the bus service has been made inferior and we have been relegated from the stop facilities in the bus centre to a dirty cold open stop behing M&S. Which is like a tip. M&S should be ashamed of that rear door !